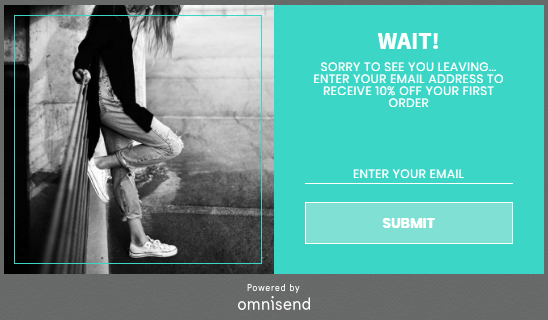 In our Email Lab experiment, Omnisend exit-intent popups resulted in a 19.03% conversion rate (and helped Organic Aromas boost signups by 150%). 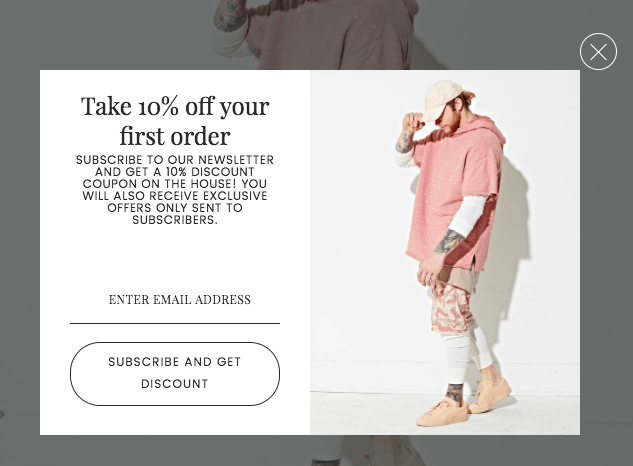 Almost one-fifth of all new subscribers converted into customers with a single popup! The exit-intent dialog box gives you an additional chance to re-engage with a visitor when he/she is about to leave your website. You might stop them from exiting by offering a signup deal. 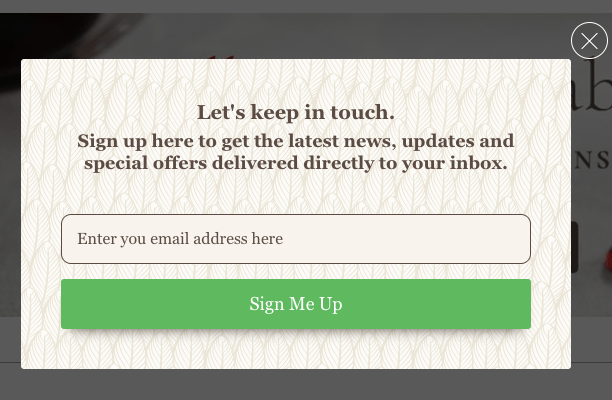 But first, let’s quickly look at what an exit-intent popup, or simply exit popup, really is. 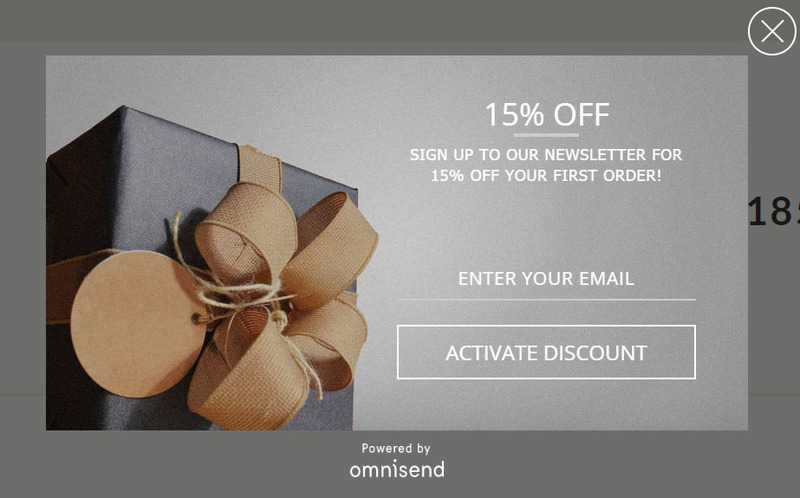 What is an exit-intent popup? 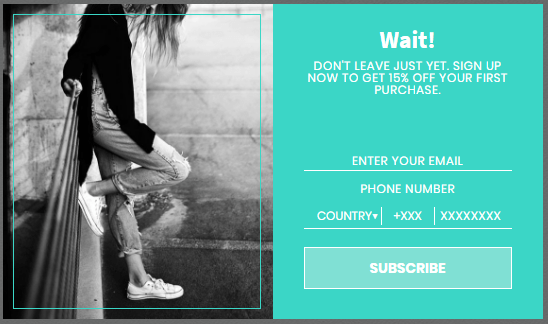 An exit-intent popup (also called an ‘exit popup’) is a popup that only appears when a visitors is going to leave your website. 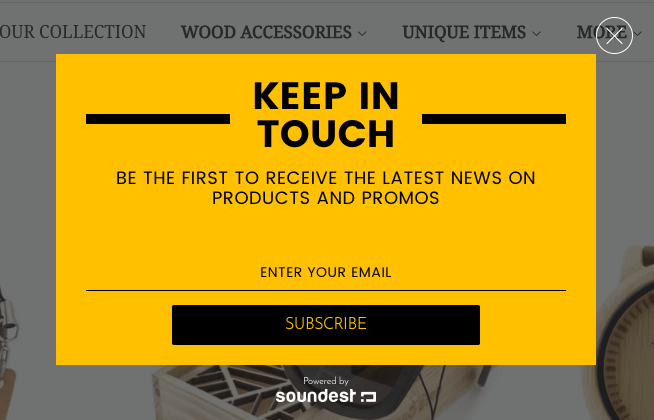 The goal of the popup is to get the visitor to subscribe to your newsletter. 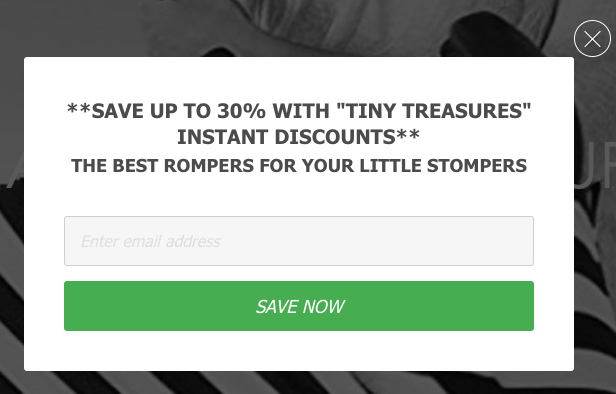 Usually this is done by including an appealing offer in the popup. For ecommerce stores, this can be a discount, gift, or free shipping. This can also be a lead magnet, such as a free ebook, training course, or any other appealing resource. The exit-intent popup is triggered when a visitor moves their mouse up to either close the tab or the browser window. 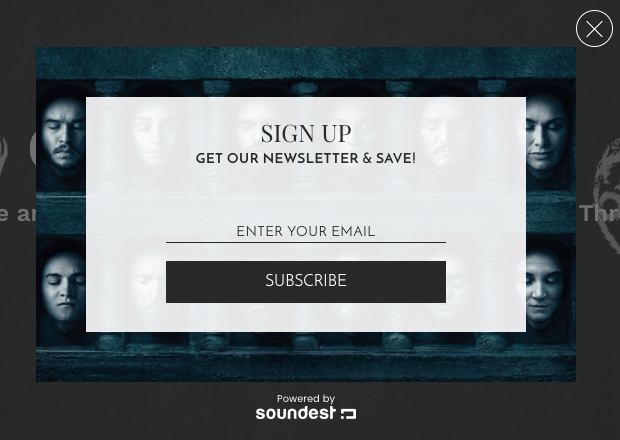 Exit-intent popups have high conversion rates, getting up to 35% of visitors to sign up. 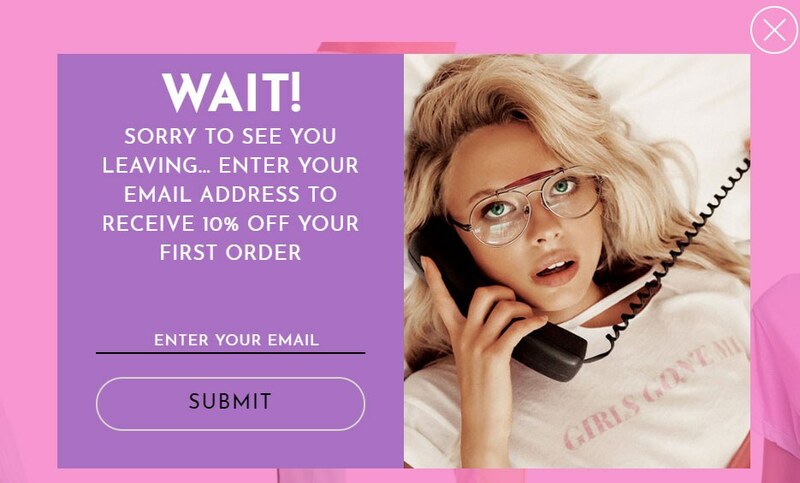 Our experiments showed that the exit-intent popup converts new subscribers into customers more effectively than a popup that appears immediately when you enter the store. So this smart ecommerce solution might come in handy when you’re growing sales as well as your email list. 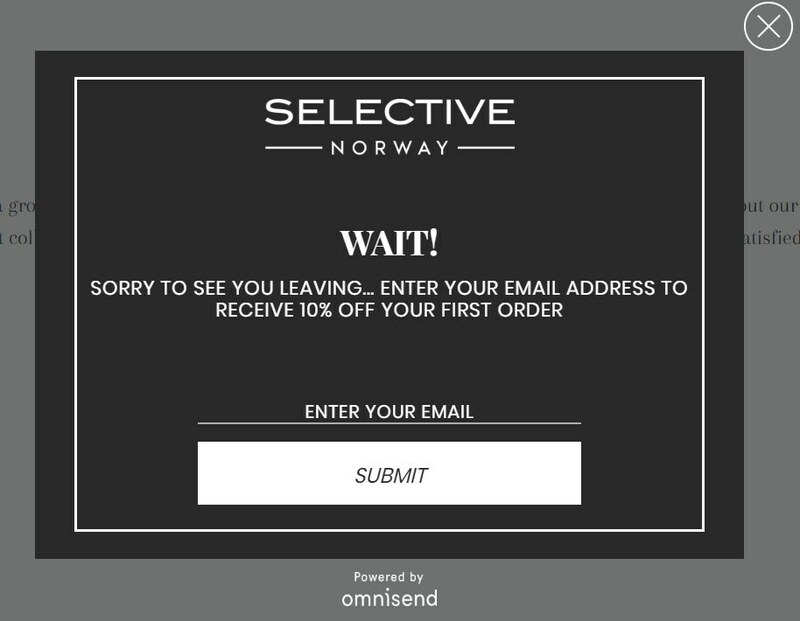 Even though our Email Lab experiment was done more than 1.5 years ago, the context of exit-intent popups is still very relevant. 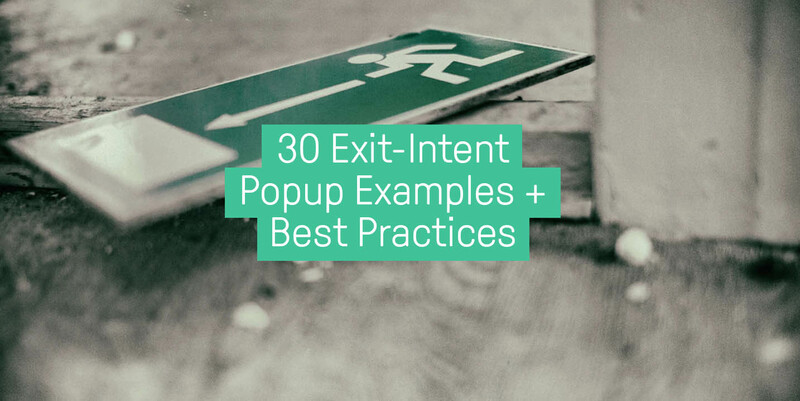 In this blog post, we’ll show exint-intent popup best practices and a gallery of 30 exit-intent popup examples. 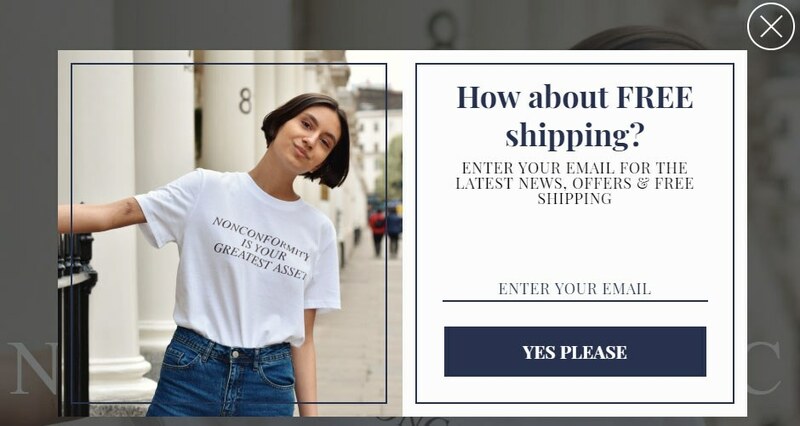 How Does the Exit-Intent Popup Work? 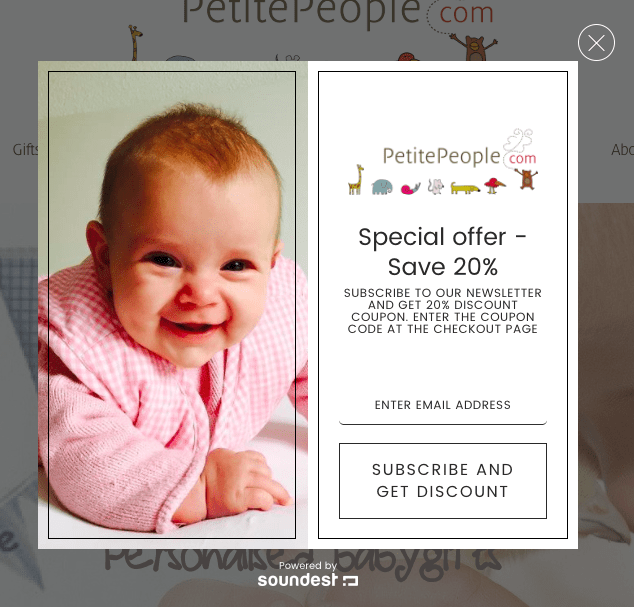 This kind of popup (which is also available in Omnisend) monitors visitor behavior and appears once a person is showing the intention to leave the website. Technically speaking, when a mouse cursor leaves the page window, that’s the moment to shine. If a visitor intends to click the Close button, address bar or anything else in browser’s toolbar, a popup with a tempting offer should jump out. 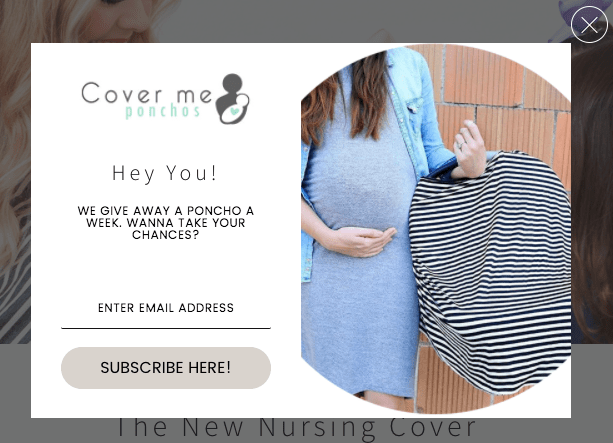 Unlike immediate popups, which interrupt your visitor as they are trying to browse your site, exit popups aren’t that annoying. 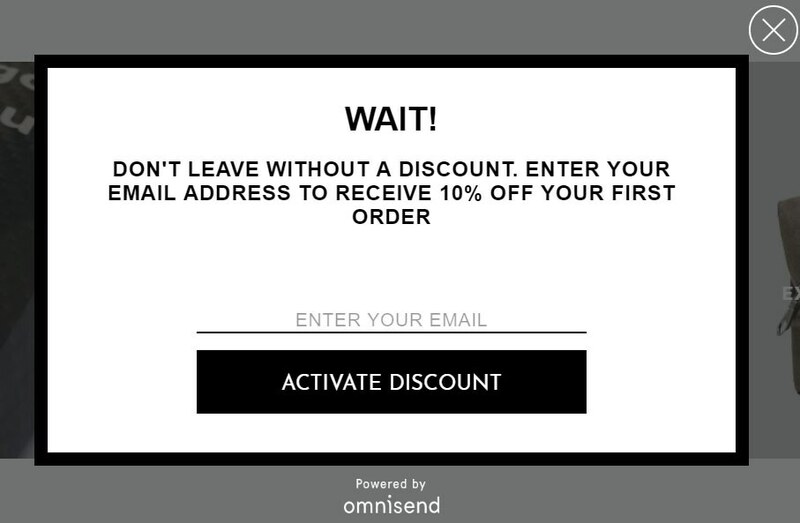 If you’re not using exit-intent popups yet, that’s a lot of money left on the table. 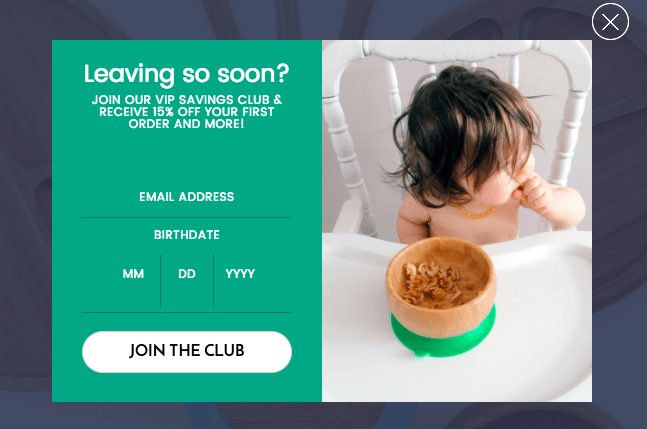 Whether you’re looking for an idea for your very first exit popup, or you’re looking for new things to test, here are exit-intent popup best practices and 30 examples for inspiration. 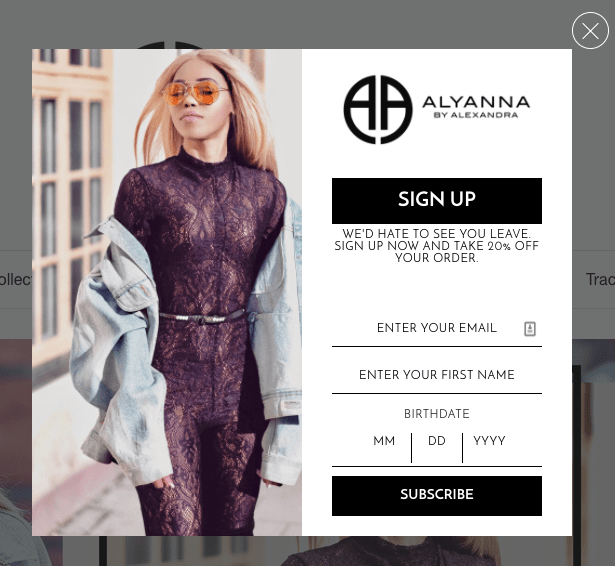 In order to craft the perfect exit-intent popup, you need to follow these best practices. But keep in mind that there isn’t one universal solution to work for everyone. Each industry and business is unique. What works for one company can totally fail for another. That’s why try experimenting and see which solution fits your business the most. Nevertheless, here are ideas and tips to get you started. And don’t be afraid to mix different ideas. One of the biggest mistakes you can make with your popup is trying to pack too much into it. The visitor is already willing to leave your website—he/she definitely does not have time to read your long proposal. Get straight to the point with just a sentence or two. Your offer must be short and show a clear benefit for the visitor. Not sure what it could be? You can promise a discount, free shipping, a trial period, free sample, new awesome content (like e-book or guide), a pdf checklist, etc. 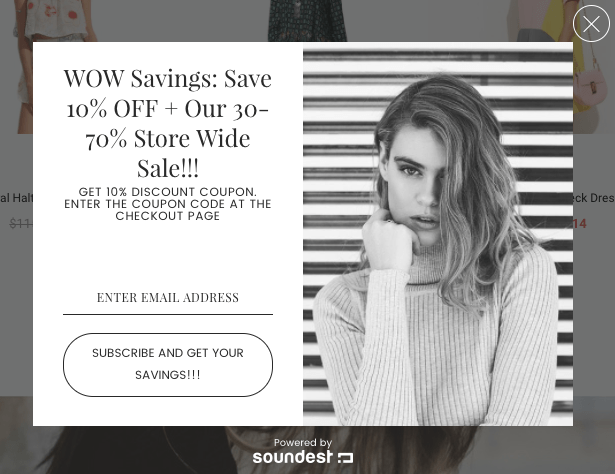 If you are an ecommerce business, offering a discount is a great way to turn that prospect into a lead. It encourages shoppers to go through with a purchase they were on the fence about. 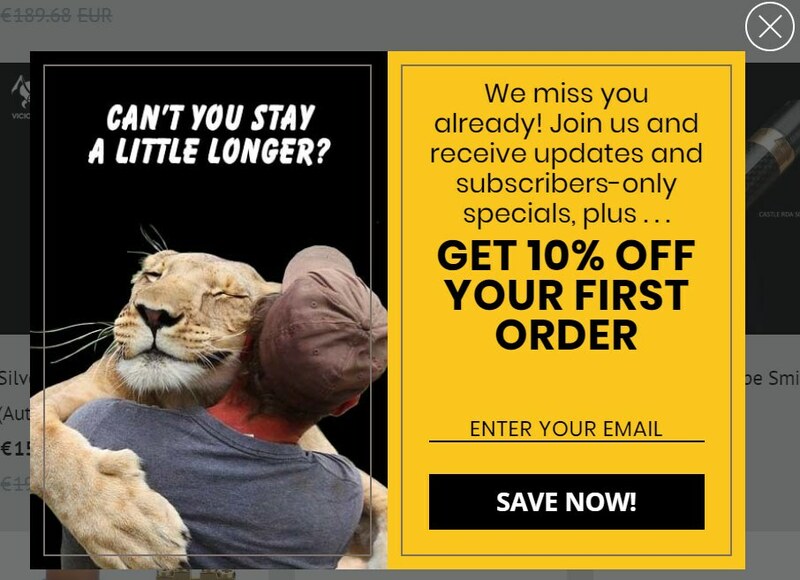 What’s really great about the example above is that instead of a generic “Subscribe” button, they’ve used the much more compelling copy: “GET $10 COUPON”. Speaking about Free shipping, did you know that No.1 reason why people abandon their checkouts is unexpected shipping costs? 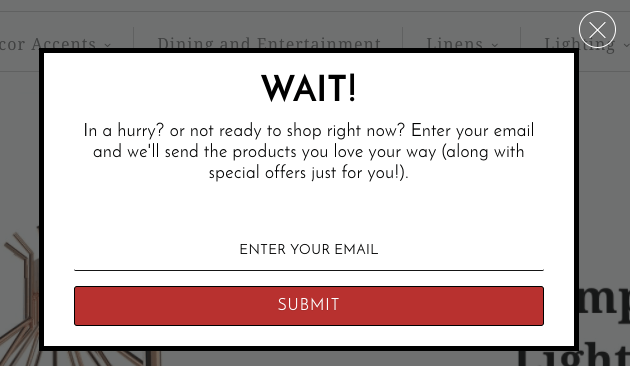 An exit-intent popup with free shipping offer could fix that. 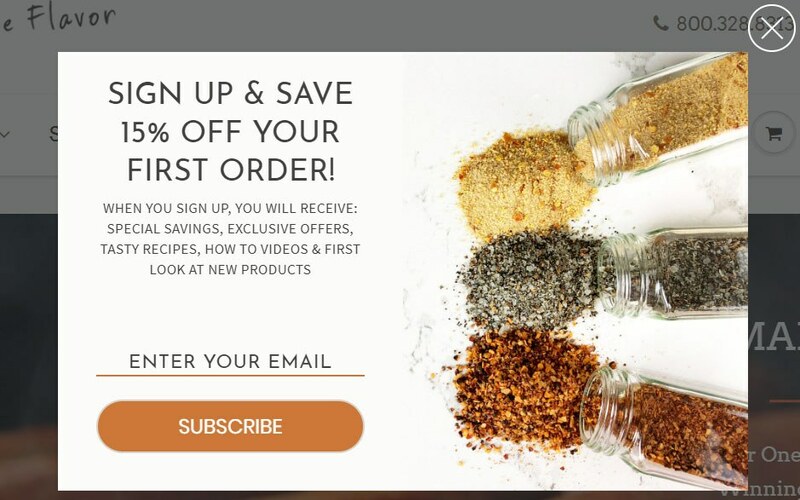 Not only would you grow your email list, but you’ll also lower your cart abandonment rate. Don’t add 5 or 10 fields as they will drastically decrease your conversion. Ask for as little information as possible, e.g. email and first name, or maybe just email. In regular forms, we always recommend asking for a birthdate, but in this case, it might be a deal-breaker. When a visitor is trying to leave, you need to create a little friction as possible in order to convert them and the minimum number of fields is the way to go. Nevertheless, the best way to find out what’s working and what’s not is to experiment. 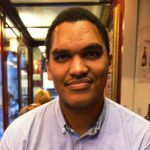 Try running a popup with 1 field for a week, and then with 3 fields for another week. Compare the results and see which one works better for you. 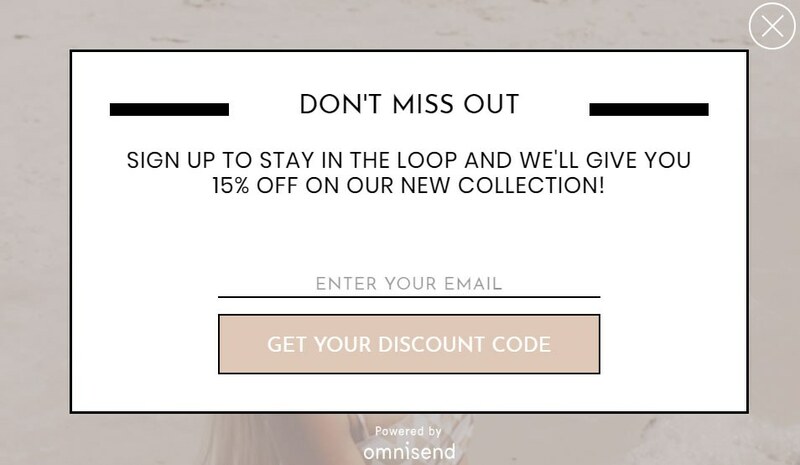 The exit-intent popup is your final chance to convert your visitors before they leave, so you need to catch their attention immediately. When it comes to the design of your popup, it’s very important that it matches the design of your website. Adding an image is always a good idea as well. 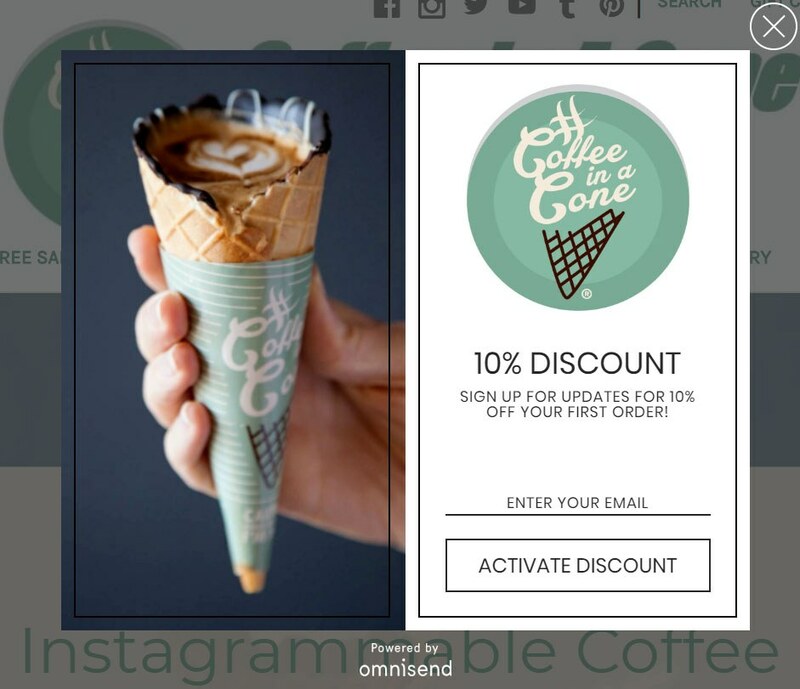 It makes your popup more fun to look at while also drawing attention to it. We process images much faster than text, which is why your images should always support your message and product. 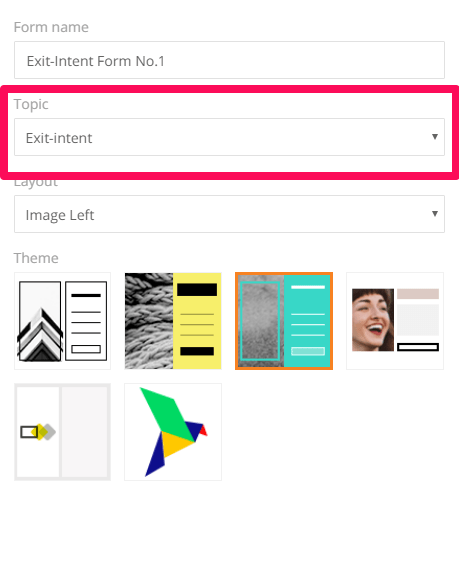 You can also try different sizes when it comes to your exit intent form. This one is all about balance and testing, as you don’t want it to be too big, or too small. If it’s too big it might seem too “spammy”, and if it’s too small, people might not be able to read what it says. Omnisend offers a variety of different popup sizes and styles so feel free to try them out and find what’s fitting your brand identity the best. Wheel of Fortune is one of the form types which are available in Omnisend’s Marketing Automation Platform. 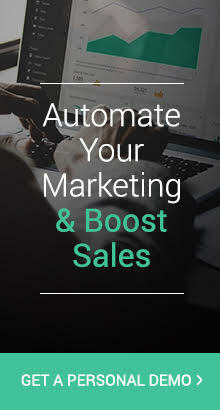 What is really fascinating is that this interactive solution can collect up to 3 times more leads than a regular form. People love games! And the best part? You can set it to automatically appear on-exit. 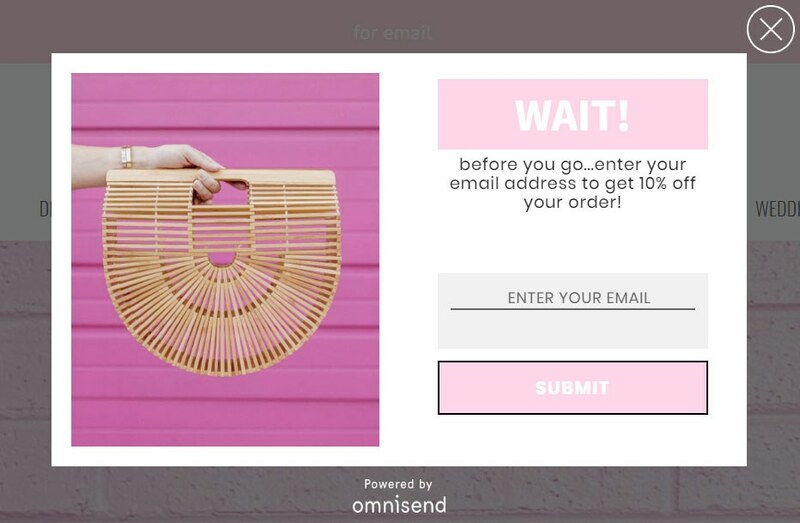 Upgrade your email marketing with Omnisend’s Wheel of Fortune, exit popups, landing pages, email automation, powerful segmentation, and much more. Get your 14-day free trial now (no credit card required). 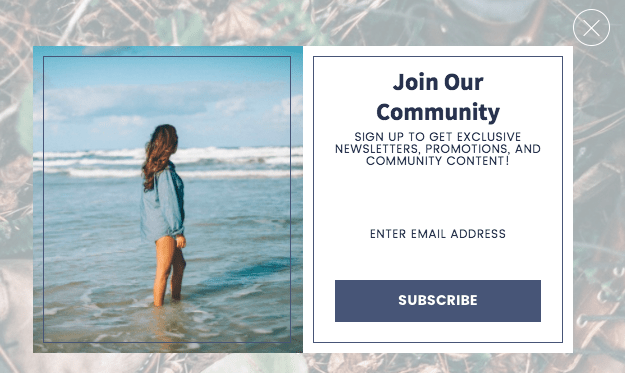 Although they’re extremely effective and can seem complicated, it’s actually pretty easy to create your own exit-intent popups. So let’s go ahead and create our own exit popup (in just a few minutes). We’ll be using Omnisend’s form-builder for this one. After that, you can choose which style of popup you’d like. 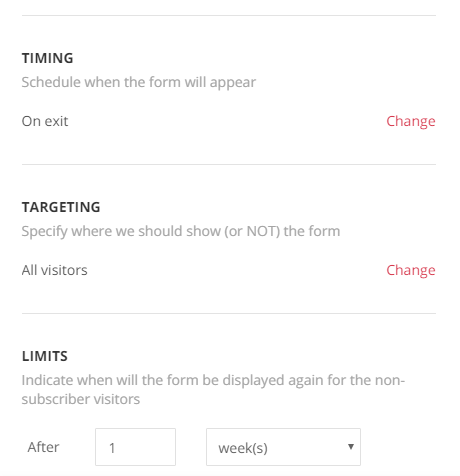 Note: Omnisend’s forms come with pre-filled text, so you can even launch them right out of the box. Next, I’ll quickly edit the messaging. I want to give them 15% off, not 10% off. And, because I plan on using SMS marketing later, I’ll ask for their phone number as well. As it is, I can go ahead and launch it right now. However, I’ll quickly change when the exit-intent popup will show. I just want it to show no more than once a week. Note: for the ‘Targeting’ option, you can show or hide the popup based on page or URL. And that’s it! My exit popup is now ready to show to my website visitors. 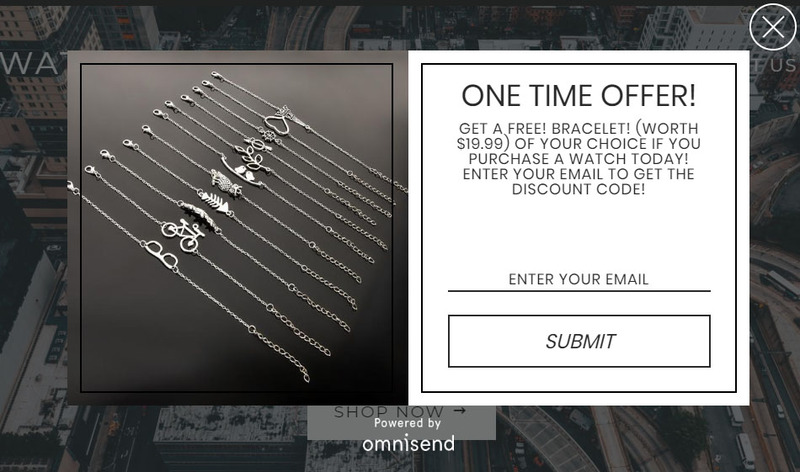 Below are some examples of how Omnisend customers use this kind of exit popups to their advantage. That’s it for now! 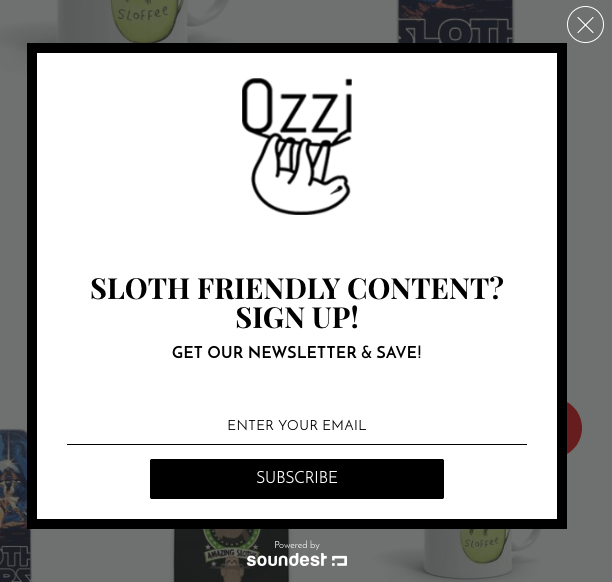 We hope this selection of exit-intent popups examples inspired you. If you think we missed something good, feel free to suggest it in the comments—we’ll be happy to add it to our selection. Smart individuals working together to boost ecommerce marketing automation and bring omnichannel to the ecommerce world. Follow on Twitter. 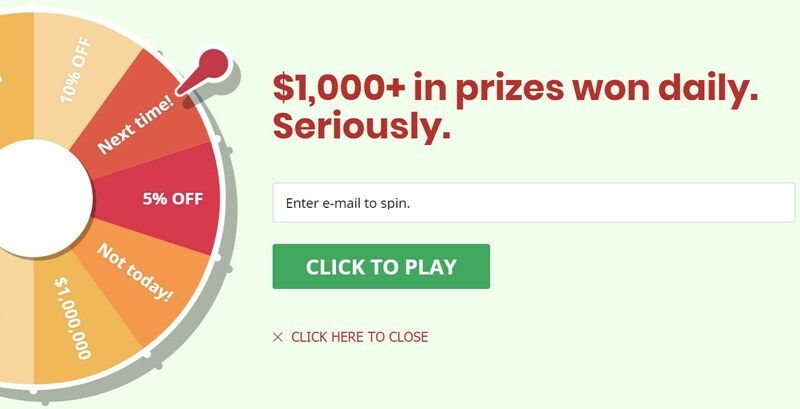 Wheel of Fortune Comes to Omnisend: Challenge Your Visitors to Sign Up! OK – Then what? 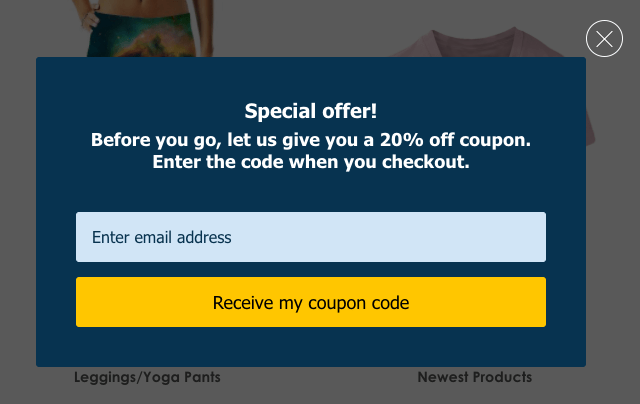 When the customer signs up using the Exit-Intent – do you send them to another page with a discount coupon? 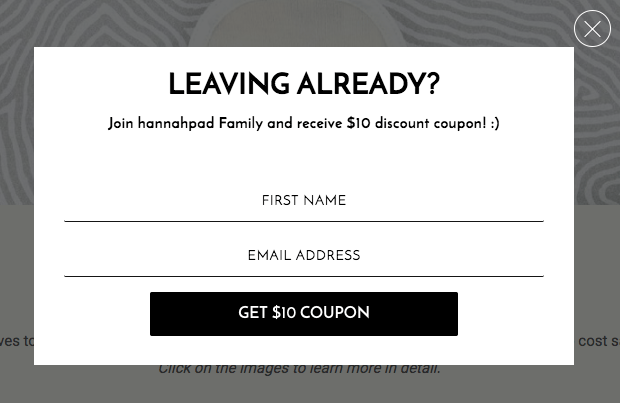 How do you issue the coupon – how do you track the customers’ use of the coupon? Just looking for the next step – I was left hanging. Thanks – Evaluating Omnisend now and having some difficulty tieing the part together. Thanks for your question. 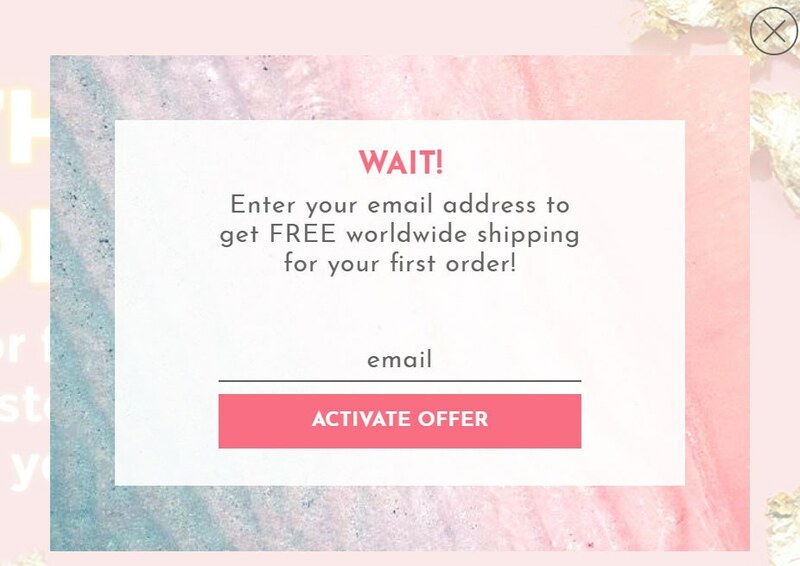 There are generally two options you have here, but they both involve adding the discount code into your welcome email. You set up your automated welcome email to go out any time someone signs up through one of your signup forms, such as exit-intent. You can track both codes in admin view of your Shopify dashboard, under the discounts section. You’ll be able to see valid till date, available or used already, who used it, etc. Hope that helped answer your question! If you need any further help, you can simply reply here or write to support@omnisend.com.